With the clocks changing and lighter evenings, it’s full on towards the spring and summer months and with Mobility Smart, you can be assured that we have everything you need to make the most of it, living your best life with our specially sourced range of mobility, health and wellbeing products. Easter is a time of new beginnings and for this Easter Sale, we have introduced more products than ever across all our category ranges, many of which feature with sale prices so you can really benefit, whatever you’re looking for. Getting out and about more or planning holidays or outings? We have everything you need to make your life easier. 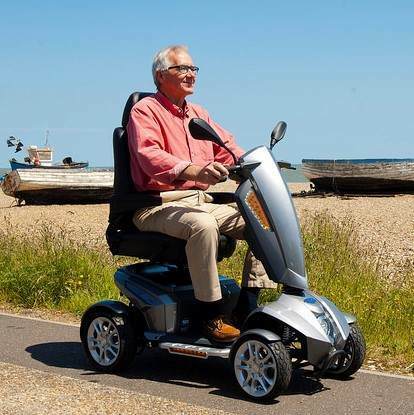 Our range of mobility scooters and wheelchairs can make your every day mobility easier. Why struggle to enjoy the outings with friends and family when you have our simple to drive scooters to make it stress and hassle free? In the home or garden, our daily living aids make it easier and more enjoyable to get stuck into the jobs without fear of strain or injury. Take a look at our range as we’re always adding some of the most innovative and high-quality gadgets and tools that can help you in so many ways. We would like to wish each and every one of you a great Easter, whatever you are planning. As ever, thanks for choosing to shop with Mobility Smart, we appreciate your custom and support.